Take an optional tour to Karpaz Peninsula, one of the island's last true wilderness. Alternatively you can take an optional jeep adventure safari atop the five fingers Mountains to enjoy the views and everlasting scenery. Otherwise if you know how to swim and you'd like to experience a 2-hour dive with an experienced this is your chance for a truly breath taking experience. Alternatively you can take an optional jeep adventure safari atop the five fingers Mountains to enjoy the views and everlasting scenery. Otherwise if you know how to swim and you'd like to experience a 2-hour dive with an experienced this is your chance for a truly breath taking experience. Acapulco Resort, Casino & Spa is located on a 1km long golden sandy beach with shallow crystal-clear waters. The 5* Hotel has unique natural beauties and rich flora & fauna that makes it one of the most beautiful holiday villages in North Cyprus. It features a fabulous pool with waterfalls, a sunken bar and a fantastic beach where guests can easily participate in the many water sports offered by the experienced staff. 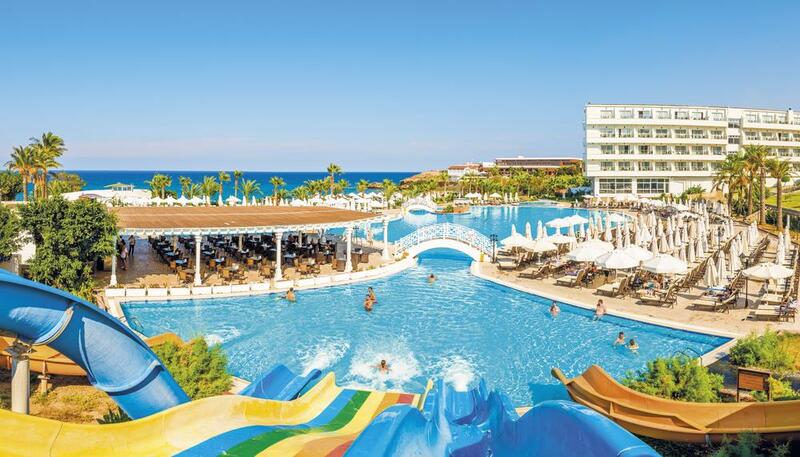 The largest outdoor pool on the island, the Aqua Park, a large outdoor Jacuzzi, the Amusement Park (Luna Park) and kids pools will help you make the most of your holiday for you and your family. All rooms within the resort feature satellite TV, minibar, telephone, air-conditioning and all bathroom amenities. A truly amazing value for money.